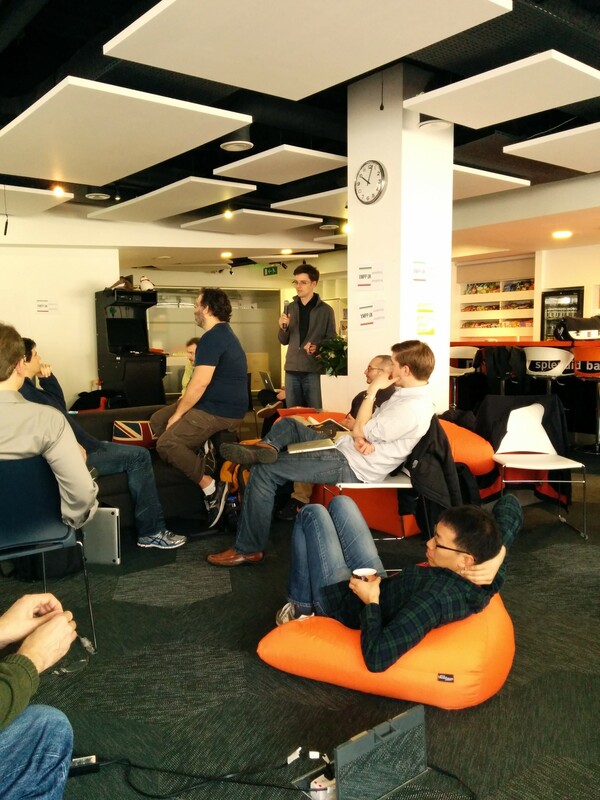 I’m writing this just hours after the HTTPbis design team meeting in London 2014 has ended. Around 30 people attended the meeting i Mozilla’s central London office. The fridge was filled up with drinks, the shelves were full of snacks and goodies. The day could begin. This is the Saturday after the IETF89 week so most people attending had already spent the whole or parts of the week before here in London doing other HTTP and network related work. The HTTPbis sessions at the IETF itself were productive and had already pushed us forward. We started at 9:30 and we quickly got to work. Mark Nottingham guided us through the day with usual efficiency. There will be no TLS renegotiation allowed mid-session. Basically a client will have to tear down the connection and negotiate again if suddenly a need to use a client certificate arises. Thanks everyone for a great day. I also appreciated meeting several people in real-life I never met before, only discussed with and read emails from online and of course some old friends I hadn’t seen in a long time! Oh, there’s also a new rough time frame for http2 going forward. Nearest in time would be the draft-11 at the end of March and another interim in the beginning of June (Boston?). As a reminder, here’s what was happened for draft-10, and here is http2 draft-10. Out of all people present today, I believe Mozilla was the company with the largest team (8 attendees) – funnily enough none of us Mozillians there actually work in this office or even in this country. On November 28, the HTTPbis group within the IETF published the first draft for the upcoming HTTP2 protocol.Â What is being posted now is a start and a foundation for further discussions and changes. It is basically an import of the SPDY version 3 protocol draft. There’s been a lot of resistance within the HTTPbis to the mandated TLS that SPDY has been promoting so far and it seems unlikely to reach a consensus as-is. There’s also been a lot of discussion and debate over the compression SPDY uses. Not only because of the pre-populated dictionary that might already be a little out of date or the fact that gzip compression consumes a notable amount of memory per stream, but also recently theÂ securityÂ aspect to compression thanks to the CRIME attack. I started my work on Spindly a little over a year ago to build a stand-alone library, primarily intended for libcurl so that we could soon offer SPDY downloads for it. We’re still only on SPDY protocol 2 there and I’ve failed to attract any fellow developers to the project and my own lack of time has basically made the project not evolve the way I wanted it to. I haven’t given up on it though. I hope to be able to get back to it eventually, very much alsoÂ depending on how the HTTPbis talk goes. I certainly am determined to have libcurl be part of the upcoming HTTP2 experiments (even if that is not happening very soon) and spindly might very well be the infrastructure that powers libcurl then.